Now that your home has been booked, it is time to pack up and prepare for your vacation! 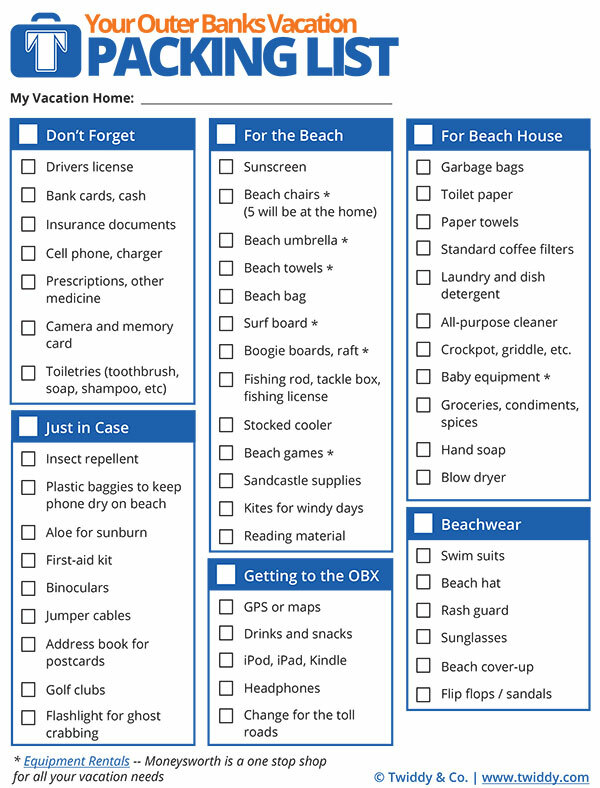 To ensure you don’t leave anything important behind, check out our packing list for some recommendations and reminders, keeping your time here at the Outer Banks smooth and stress-free. In addition to these items, don't forget to check your vacation home's listing on our website for a description of amenities.